>While listening to a Java Posse podcast episode 91, Spring Web Flow (SWF) was mentioned. SWF apparently integrates not only with Spring MVC, but also with Struts, JSF and Portlets. Makes me wonder whether I can use it in combination with XINS as well. 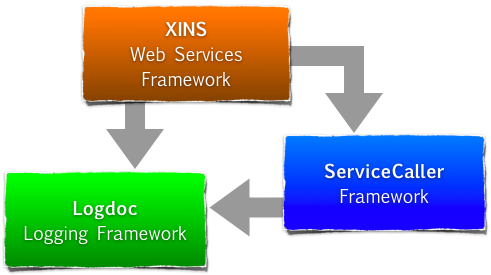 >Last week, XINS 1.5.0 was released. Since, some bugs have been discovered. All found bugs have been resolved as well. The bugfixes will be released as part of the upcoming XINS 1.5.1, which is currently under development. Expected release date is January, 2007. At the same time, work on XINS 2.0 is starting. First committed changes is the removal of some deprecated class members. Surprisingly, some deprecated members have been unmarked, so as of XINS 2.0.0 they are no longer considered deprecated.